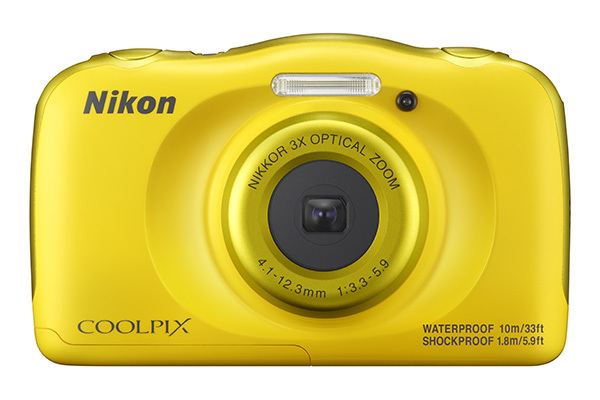 Nikon has announced its latest W100 holiday camera, just in time to catch the end of the summer. 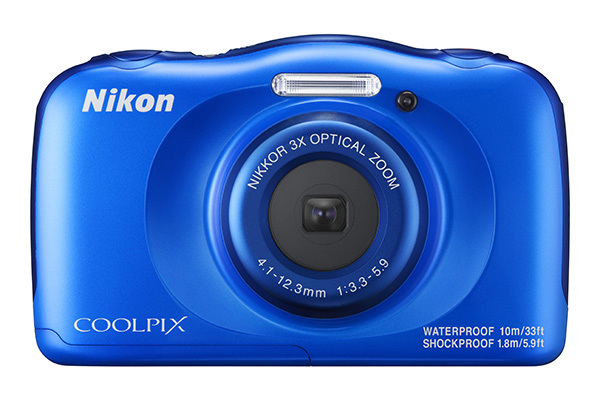 The new Coolpix model boasts a 13.2MP sensor and is said to be fully waterproof down to 10m. It also claims it can withstand drops from up to 1.8m and climates as cold as -10°C. Nikon has focused on ease-of-use with dedicated one-touch focus buttons and a children’s menu that should make it a breeze for all members of the family to take pictures. Other features include its 2.7in 230k-dot LCD, electronic Vibration Reduction and Full 1080p HD videos. It’s available to purchase from 8th September 2016 with an RRP of £129.99. 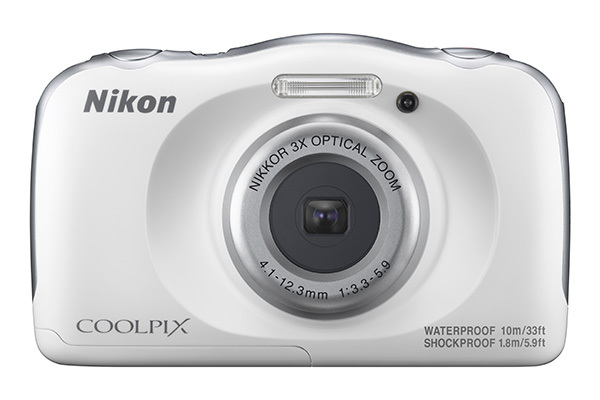 Nikon’s Coolpix range of compact cameras has a new addition that’s made for adventure at home or abroad – the 13.2-megapixel Coolpix W100. You can swim or dive with it as deep as 10m underwater1, plus it’s shockproof to 1.8m2, cold-resistant to -10oC3 and dustproof4, so it can be carried anywhere without a care. Shoot high-quality photos and share instantly with SnapBridge*5, which automatically transfers images to your smart device for easy storage and social sharing while on the go. Utilising Bluetooth low energy (BLE) technology, SnapBridge maintains a constant, low-power connection between your CoolpixW100 and your smartphone or tablet, to give you easy control over your photographic life. Full HD movies (1080p) with stereo sound are recorded at the touch of a button, with Electronic VR (Vibration Reduction) keeping videos smooth and clear. 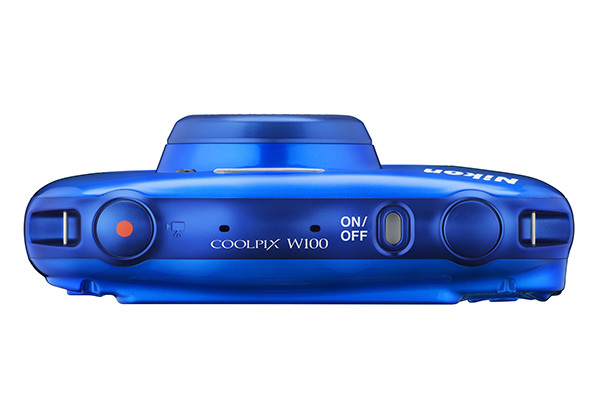 Incredibly simple to operate, the Coolpix W100 has dedicated one-touch buttons and an easy-to-use interface, plus a special children’s menu making it suitable for photographers of all ages. Select Easy auto mode to let your camera optimise all its settings for you, giving you great images every time, and you can frame shots clearly with the 230k-dot 6.7cm/2.7in TFT LCD monitor – even in low light or direct sunlight. Perfect portraits have never been easier both above and underwater. The Smart portrait system activates features like Face-priority AF, which automatically detects your subject’s facial area and focuses on it, whilst the Underwater face framing takes shots automatically when it detects people’s faces in the sea or pool. 1 JIS/IEC protection class 8 equivalent (IPX8: shooting enabled for 60 min underwater at a depth of 10m/33ft). 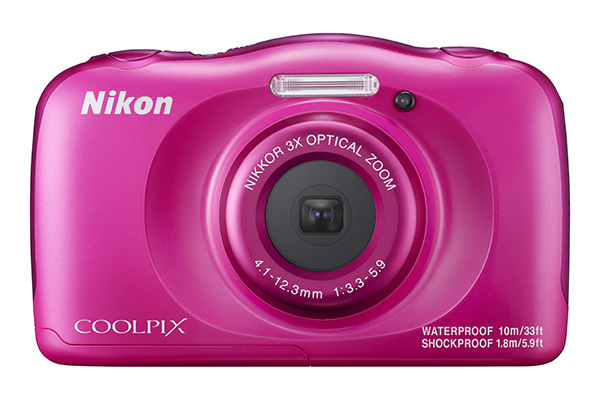 2 (Passed the NIKON drop testing condition, which is compliant with MIL-STD 810F Method 516.5- Shock). 4 JIS/IEC protection class 6 (IP6X) equivalent. 6 The Bluetooth® word mark is a registered trademark owned by Bluetooth SIG, Inc. and any use of such marks by Nikon Corporation is under license.